1 day sale. 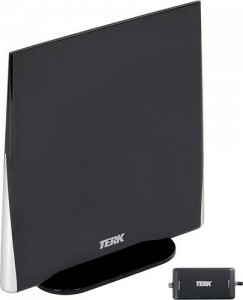 Amazon has the Terk Omnidirectional HDTV Outdoor Antenna Sale Priced today for $38.90 with Free Shipping.A buck more at Best Buy on sale today. Good way to cut the cord for those in urban TV markets. Features 360° reception pattern so no adjusting. Can mount on outside wall, roof, balcony or in the attic. Includes extremely low noise (ELN) amplifier optimal digital TV reception while keeping the signal unsaturated. Antennaweb helps you find channels in your local area.